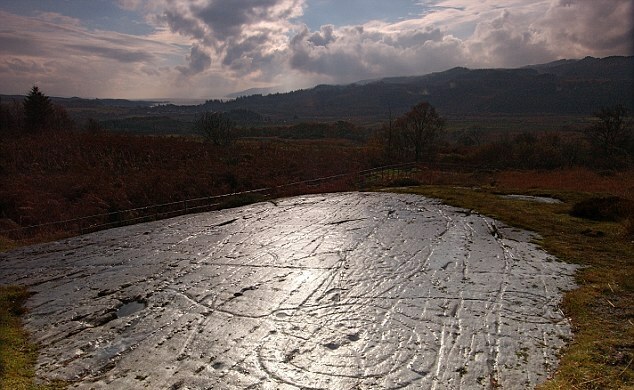 About 6,000 rocks that display distinctive “cup and ring” carvings, alongside other ancient engravings, dot the landscape of Britain, with at least one-third of them found in Scotland. Archaeologists have offered several explanations as to what these strange symbols mean. Some have said the ancients inscribed them for ritual ceremonies. Others believe the carvings served much more practical purposes, that possibly these were territorial markers on ancient trade routes or mapped the stars in the sky. A spokesperson from Historic Environment Scotland (HES) noted that “the purpose and significance of rock art to prehistoric and more recent communities is poorly understood.” In 2016, HES was awarded £807,000 (around $1.1 million in U.S. dollars) by the Arts and Humanities Research Council to carry out a five-year-long project to reestablish this lost link to Scotland’s prehistoric past. We may never discover the full meanings of the engravings, but the project, making use of 3D scanners, will seek answers by documenting and analyzing a great number of rock carving examples. A result is expected probably by 2021: a database with 2D and 3D models of some of the decorated stones will be created, and perhaps some theories will follow too. 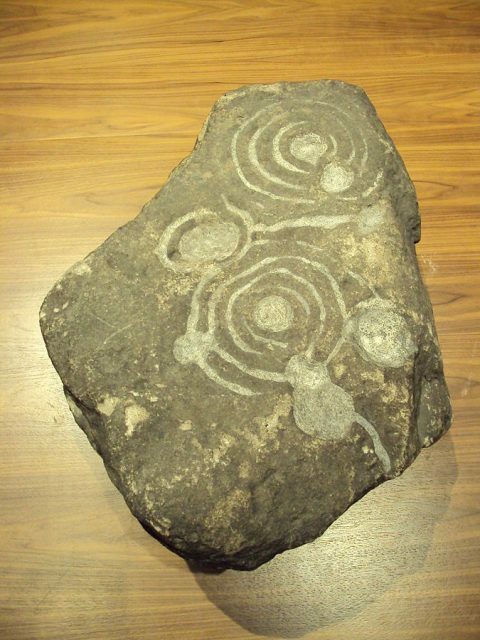 Experts from both the University of Edinburgh and the Glasgow School of Art are involved in the project activities, and scanning is expected to reveal new connections between the symbols, previously overlooked, between the rock carvings. Some are said to go as far back as to the Neolithic days. Currie has also been invited to participate in the activities. Over a period of more than a decade, he has managed to discover, photograph, and GPS locate 670 rocks alone. While cups and rings are among the most recurring symbols of all, there are others that appear frequently, such as horseshoe shapes or some that remind of human footprints. In statements in Mail Online, Currie, who comes from Dundee, said that “the idea is to cover the whole of Scotland to record all of the rock art in 3D where ever possible.” However, he remarks, challenges are certain to haunt the team as it is uncertain how scanning equipment will be brought to some of the locations of interest. Not all rocks are laid to rest in favorable terrains. Potentially, the project could answer many other questions, such as why people have revisited the rocks, inscribing new symbols over rocks that had already had engravings. 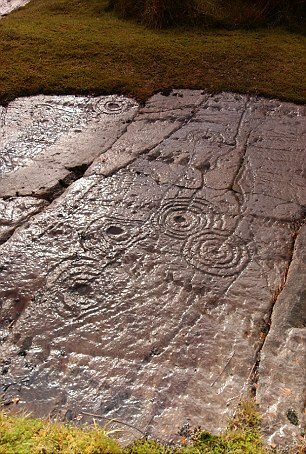 Meanwhile, new findings of rock carvings are still being encountered, with one major discovery of a “previously unrecorded example” being reported by BBC Scotland Highlands and Islands reporters in 2014. Archaeologists stumbled upon new rock art with cup and ring engravings while trying to relocate one rock in the county of Ross-shire. As they examined the rock, the team was dazzled by corresponding marks on the other side of the rock as well. The discovery counted as a rare find. Although Britain is the focus of the interest in cup and ring rock carvings, these symbols are not exclusively found only on the island. Differing from place to place, examples have been documented overseas, with many being located in Ireland and Scandinavia, one example being Hartola, Finland, where researchers point out that the cup markings are notably wider compared to the Scottish ones. More can be seen in the Italian region of Piedmont, but also across Switzerland, on Sardinia, or in Israel. Similar forms can be seen as far away as Gabon and Australia. The current research that is being carried out in Scotland, and which is active since January 2017, will hopefully one day trigger international interest. A bigger effort at creating a global database could provide us with a more profound understanding of the strange artwork our ancestors sported on rocks in the wilderness.